"Cary Donovan found us the perfect car at a great price! He took care of everything and made the process incredibly easy. We are thrilled with our new car! Thank you Rolling Stock Specialty Auto Sales!!" "One of the best places to buy a car from. Cary Donovan is a great person and does not pressure you into anything. 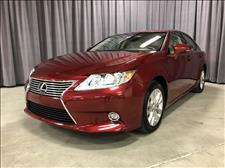 I just bought a 2007 Lexus IS 250. I highly recommend going to look and see what he has in stock when looking to buy your next car."